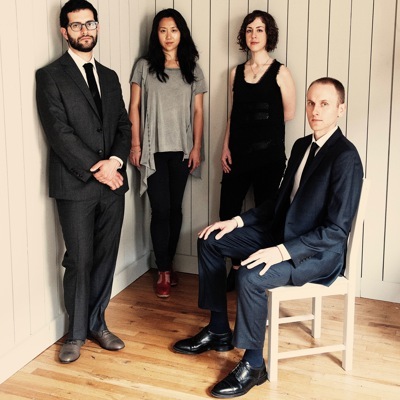 In the US, Yarn/Wire has a solid reputation as one of the most exciting ensembles on the New York scene, so it was high time to introduce this piano-percussion quartet to the Transit audience. They will play pieces written specially for them, including works by Thomas Meadowcroft and Ann Cleare. Aaron Einbond will take a virtual walk through New York with the ensemble, with Leuven composer Jasper Vanpaemel providing contrast. Judging from the list of percussion instruments (including an old record player, two flower pots and two salad spinners), this will be a concert full of unbridled sonic imagination. Aaron Einbond’s work explores the intersection of instrumental music, sound installation, field recording, and technology, bringing the spontaneity of live performance together with computer interactivity. His recent music has focused on audio transcription as the center of a creative process bridging composition, improvisation, and interpretation, questioning the thresholds of perception between instrument, stage, room, and loudspeaker. Already at an early age Jasper Vanpaemel (b. 1986) was influenced by a wide variety of musical genres. From 2004 to 2013 he studied piano & composition with Jan Michiels, Peter Swinnen & Franklin Gyselinck at the Royal Conservatory of Brussels. In 2009 Jasper studied electronic music (sonology) at the Royal Conservatory of The Hague with Richard Barrett and Kees Tazelaar. Jasper’s compositions include original works and arrangements, both solo and ensemble pieces, varying between traditional instrumentations and interdiscliplinary multimedia set-ups. As a performing musician Jasper is active in various fields. With Jasper Braet he explores new ways of dynamic and aesthetic expression and performance. 8 Little Indians was realised in cooperation with Jonas Cambien (melodica), Lien Tallon (costumes) en Tom Beets (audio source). Ann Cleare is an Irish composer working in the areas of concert music, opera, extended sonic environments, and hybrid instrumental design. Her work explores the static and sculptural nature of sound, probing the extremities of timbre, texture, colour, and form. She creates highly psychological and corporeal sonic spaces that encourage a listener to contemplate the complexity of the lives we exist within, exploring poetries of communication, transformation, and perception. 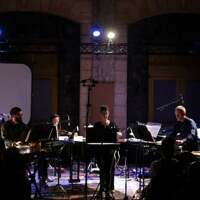 Yarn/Wire is a quartet of two percussionists and two pianists. This instrumental combination allows the ensemble flexibility to slip effortlessly between classics of the repertoire and modern works that continue to forge new boundaries. Late-comers will not be admitted to the concert.